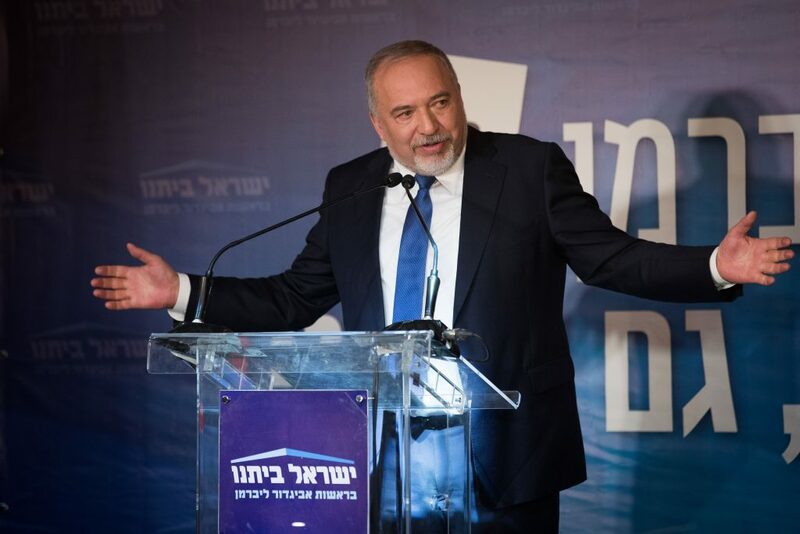 Yisrael Beytenu leader Avigdor Liberman announced Monday evening that he would recommend Binyamin Netanyahu for prime minister to President Reuven Rivlin, which would seem to clinch the next government. Liberman had nixed the possibility of recommending Benny Gantz, but until now had not committed to Netanyahu, conditioning his agreement to join the new coalition on a list of demands, including changes in the religious status quo, which the chareidi parties have said they will not accept. It was left unexplained how the religious issues — which include military exemptions for yeshiva students and public Shabbos observance — will be bridged. Liberman also rejected the idea of a unity government of Likud with Blue and White, which had been proposed by Rivlin on Monday, as unworkable. If Liberman joins the coalition, it should provide Netanyahu with 65 seats, enough to form a ruling majority.